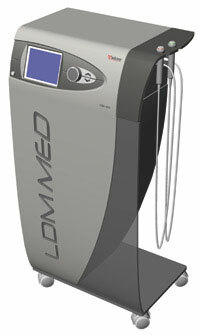 The attractive design of LDM®-MED has been combined with user-friendly operating elements. Various acoustic and visual signals warn the user if the machine is being operated incorrectly and make it easy to use without mistakes. LDM®-MED uses LDM®Plus technology, in which the dual-frequency ultrasound combines the individual frequencies in variable proportions, thus allowing the connective tissue to be modulated more individually. Intensities of up to 3 W/cm² also allow you to work more quickly and effectively. The machine is fitted with sonotrodes #1 and #2 and can be expanded individually if necessary with the following sonotrodes to suit your specific treatment requirements. The machine can be additionally fitted with a 10 cm² sonotrode specially developed for body treatments using the TWL concept allows you to work effectively on applications over larger areas, such as the tummy, bottom and thighs.